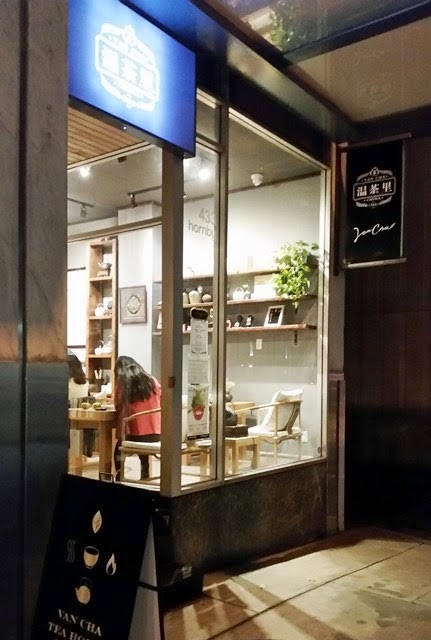 Van Cha is located in downtown Vancouver on Hornby Street between West Pender Street and West Hastings Street. 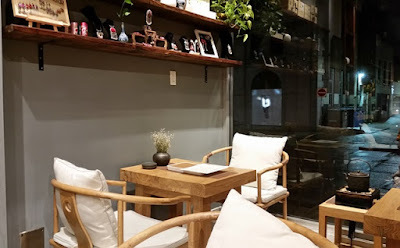 The tea room opened for business in January 2017 under the name Silver Crescent Tea, transitioning in mid-2018 to new ownership with the current business name. 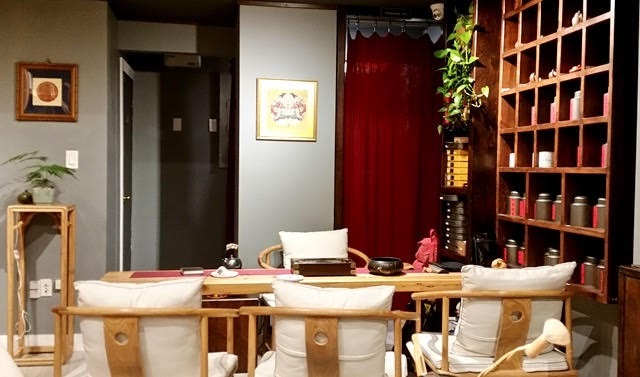 The tea room interior gives a sense of tranquility with warm wood features and comfy cushioned chairs. Seating is at small tables for one to two guests or at longer tasting tables that can accommodate slightly larger groups. 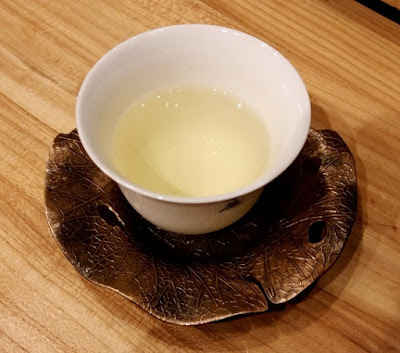 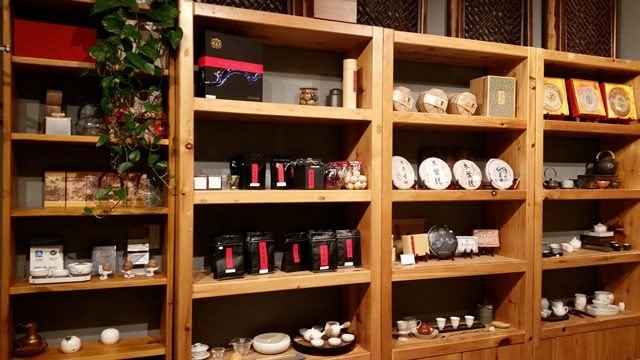 Van Cha offers an intriguing selection of green, white, oolong, and black teas as well as vintage, raw, and ripe puerh and tisanes for purchase or to enjoy in-house. Our gracious host was Lillian Li, a Beijing-certified Tea Ceremony Specialist. 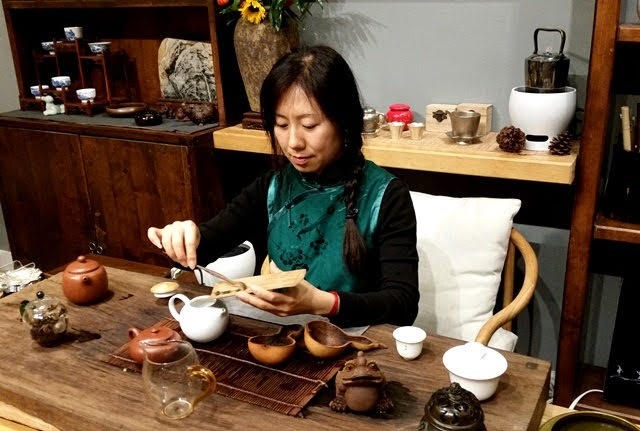 Lillian thoughtfully prepared multiple infusions of each of our teas while answering all our questions and sharing information about the tea room and future plans for expansion. 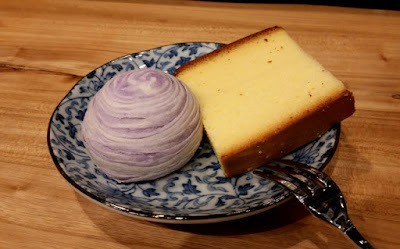 Along with tea, we enjoyed slices of castella cake and freshly made purple yam sweets. My thanks go to Lillian for kindly sharing her experience and knowledge and for making us feel welcome, well after closing time. 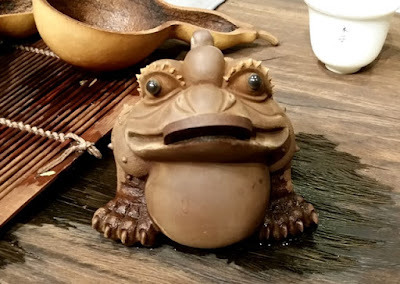 Shout-out to Fred, tea pet-in-residence and our companion for this tea tasting experience. 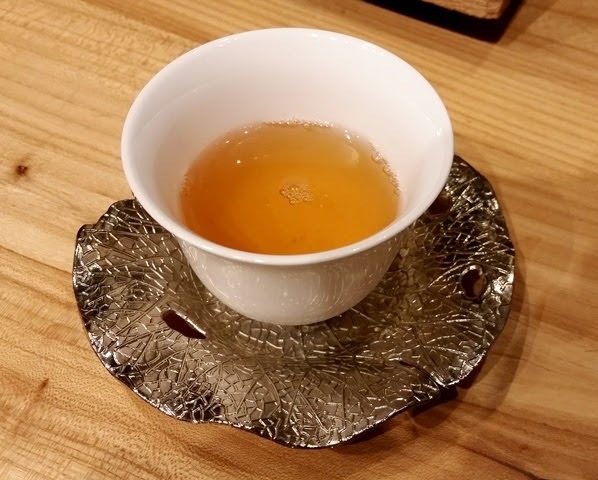 Follow Van Cha on Facebook and Instagram for events and updates. 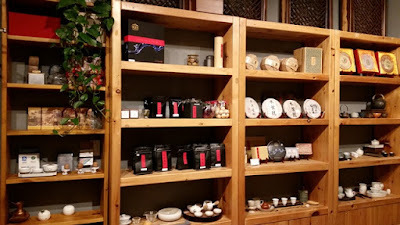 Visit the tea room for a schedule of upcoming tea classes and events.